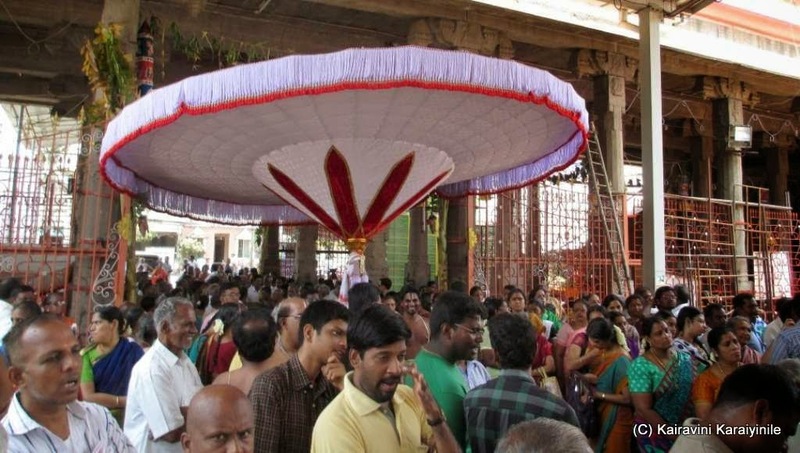 Today (17th April 2014) is a Special day ~ thousands thronged the main entrance of Sri Parthasarathi Swami before 05.30 am to have a glimpse of Him arriving on Garuda Seva – known as Gopura vasal Sevai – this is special. Then there was Garuda Sevai purappadu which ended almost around 10.30 am. 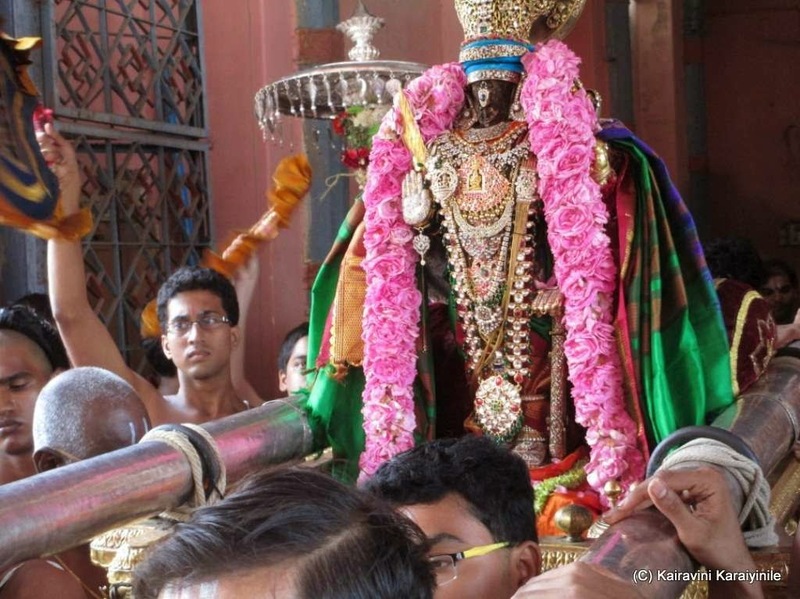 Closer to 1 pm (noon) there was Ekantha Sevai ~ and hundreds were waiting to have darshan of Ekantha Sevai. 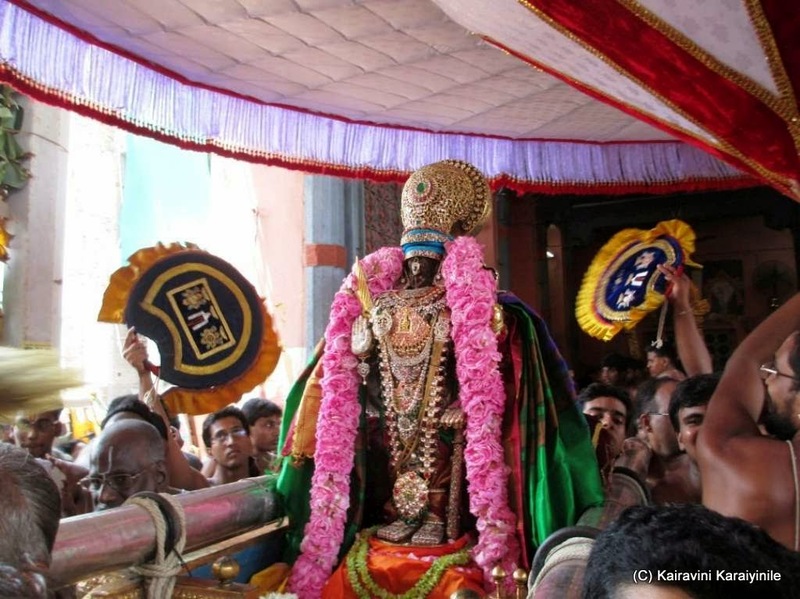 Ekantham may mean solitude or loneliness ... in a different parlance, it would mean privacy ... in Temple parlance, it is construed to mean ‘Lord being alone – especially with lesser or no garlands and ornaments’ that is the stage when one can have darshan of the Thirumeni. 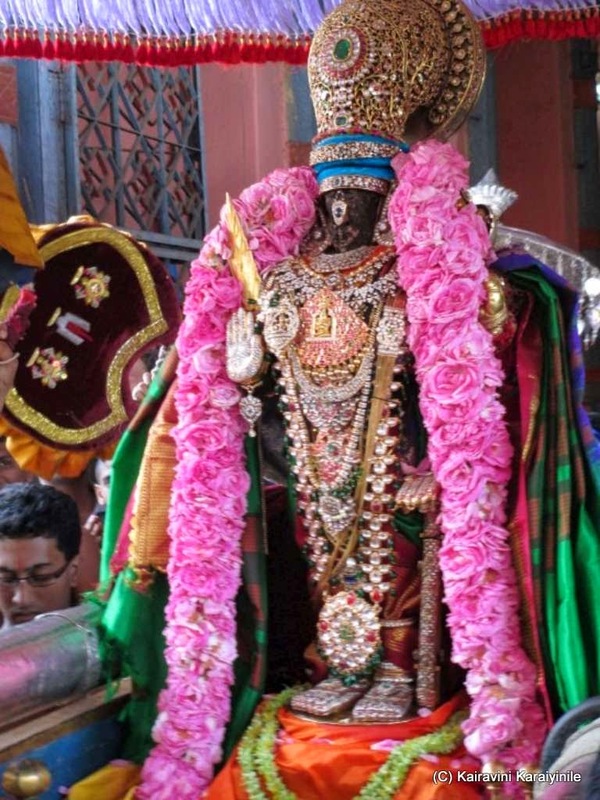 Everytime, you have darshan of Sri Parthasarathi, you get carried away by the most beautiful garlands made of most fragrant flowers..... today, it was a simple (rather most grand) garland made of roses that adorned Perumal and got beautified by that. 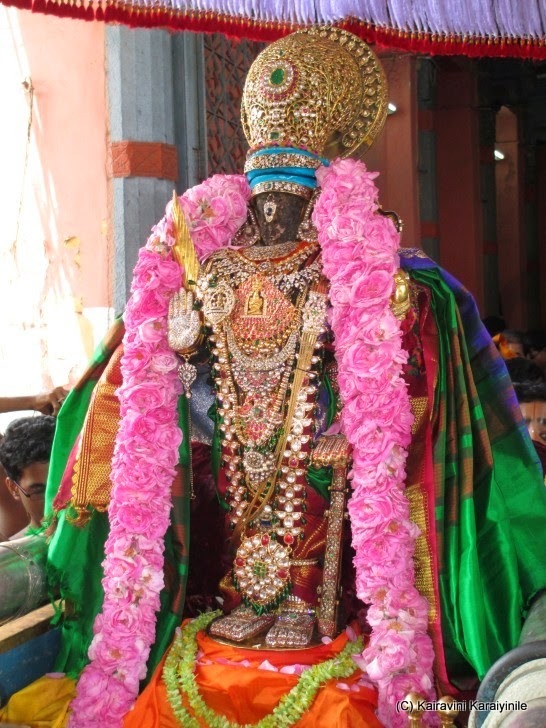 It was indeed a very great darshan, as Perumal very slowly walked to the mellifluous tunes played by Nathaswara vithwan. Here are some photos of the grand event. (சாண்) written as Jon/saan (not the name) is a measure used by South Indians, especially Tamilians for long. 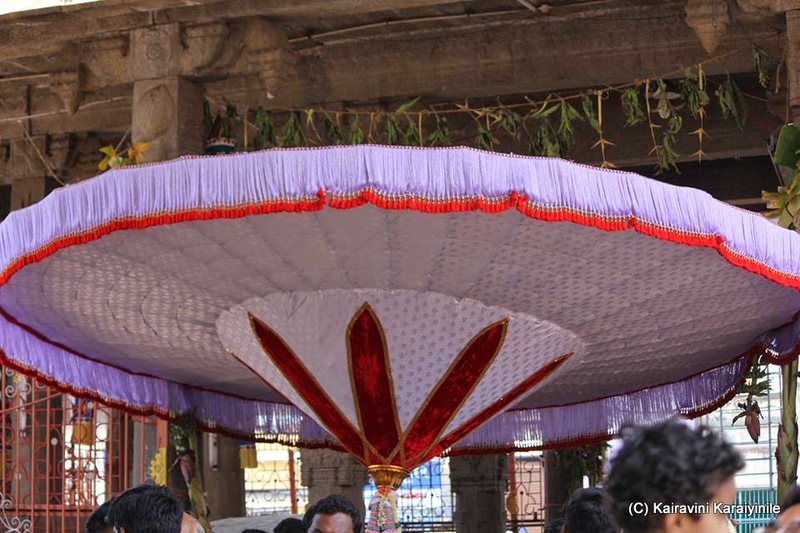 It is half of muzham (arm’s length – used for measuring flowers especially jasmine string)..... it is roughly 23.33 CM... you are reading this because the ‘parasol’ (the divine Umbrella) is generally referred by Jon – which is its measure of diameter. 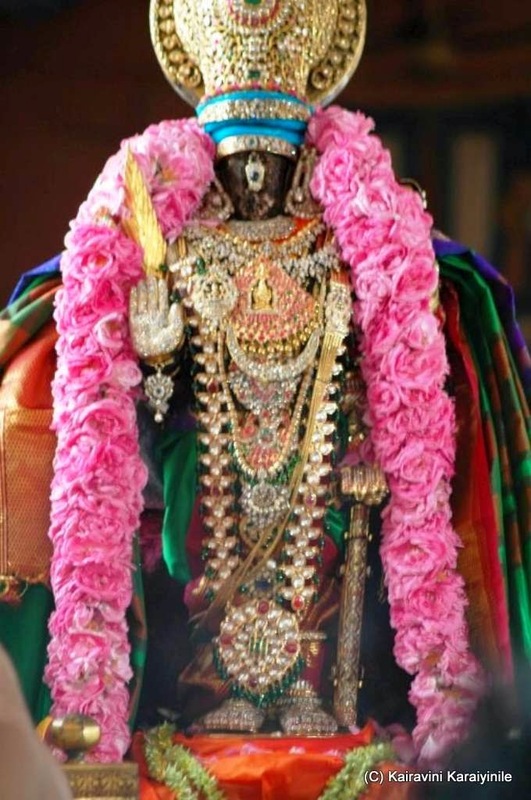 Today, for the Ekantha Sevai, two specially made ’24 jon’ kudais were dedicated to Lord Parthasarathi. These perhaps are the biggest (rather the widest).... here are a couple of photos of thirukudai. Extremely beautiful. Thanks for sharing. While being present in the moment is always welcome but many times one does not get that close view. Thanks for the service.